First in Space-In the Red. Johnny Stanec and the boys from Youngstown are back with their fourth full-length, and it just might be their best, trading in the Replacements-style rock of the last album for a purer pop sound. Although you wouldn't tell from the driving opener "Letters from Hell", it becomes evident on tracks like the bouncy "Forward Progress" and the midtempo, Gin Blossoms-like "The Other Side", and "Now or Never" is straight-up power pop reminiscent of Cliff Hillis or Michael Carpenter. And you only have to in the red for $5 for a digital copy at Bandcamp. 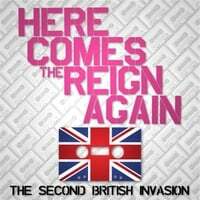 VA-Here Comes the Reign Again: The Second British Invasion. Andrew Curry has done it again. After last year's compilation of contemporary power poppers covering the lite rock classics of the late 70s, Curry has gotten another all-star cast together to tackle the next decade when all those British bands came out of nowhere thanks to the emergence of MTV. 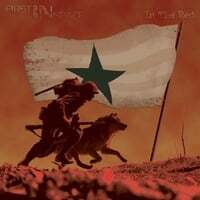 Now while last year's comp was my favorite album of the year, this one - while executed just as well - may not achieve those heights due to my own personal preference for those late-70s tracks versus some of the synth-heavy sounds of the early 80s. Still there's plenty here to enjoy (and even geek out over if you're a bigger fan of the era than I) and like on the last compilation, the best covers here are those that sound like natural extensions of the artists covering them. So the suburban milieu of "Life in a Northern Town" is a perfect fit for Fountains of Wayne's Chris Collingwood, and "Everytime You Go Away" sounds so much like a typical Linus of Hollywood track that I forgot it was a cover when listening to it alongside his most recent release. Also in this category are "Save a Prayer", which is in David Mead's ballad wheelhouse, and the pure midetempo pop of "Wouldn't it Be Good" in Cliff Hillis's hands. Then you have the reinterpretations, and the ones that work here best are Mike Viola slowing down "Everybody Wants to Rule the World" and Graham Alexander doing likewise with Tracey Ullman's "They Don't Know". This is another must for power pop fans.